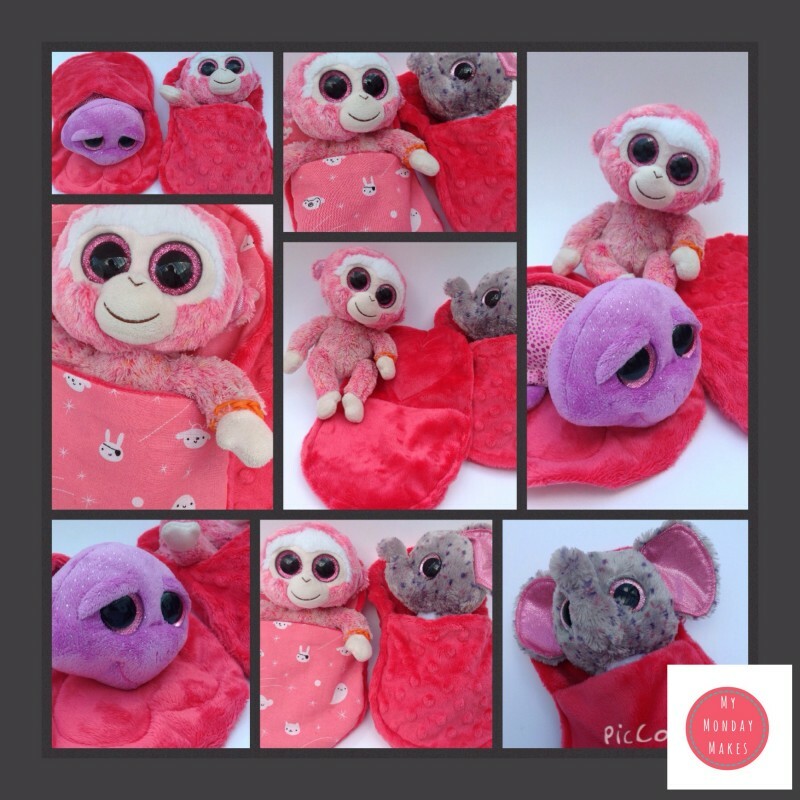 Using the Sleeping bag pattern and cut out – 1 x back piece and 1 x front piece in plush. 1 x back piece and 1 x front piece in contrast fabric. 1 x heart shape in wadding using the Heart template. 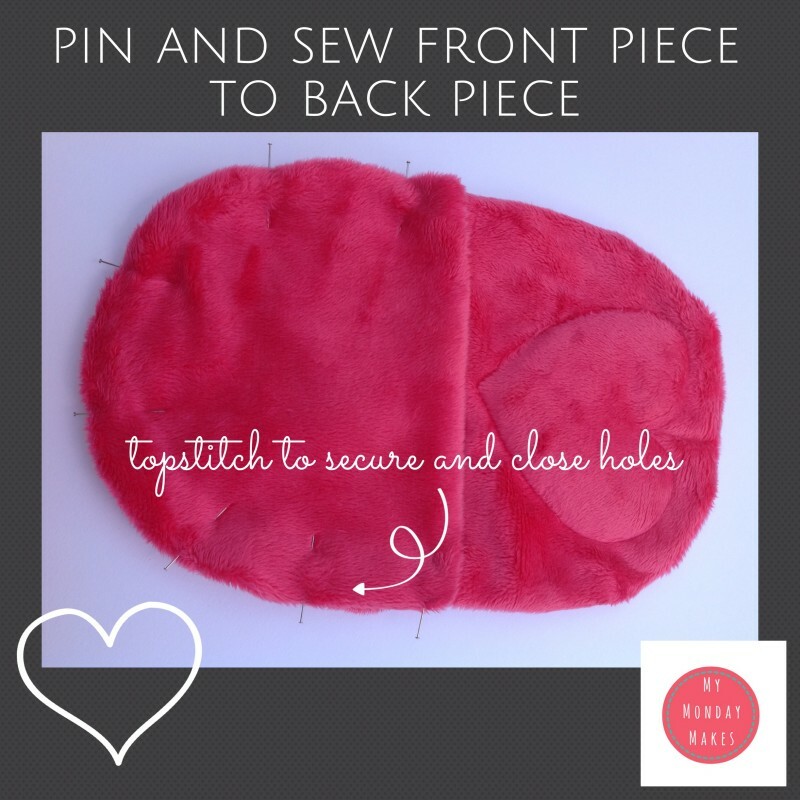 Place the two back pieces right sides together, pin and sew round – leaving a gap to turn right side out. Make sure the gap is on the bottom half of the sleeping bag – then it will get sewn shut later. Warning – plush likes to slide around so pin well! 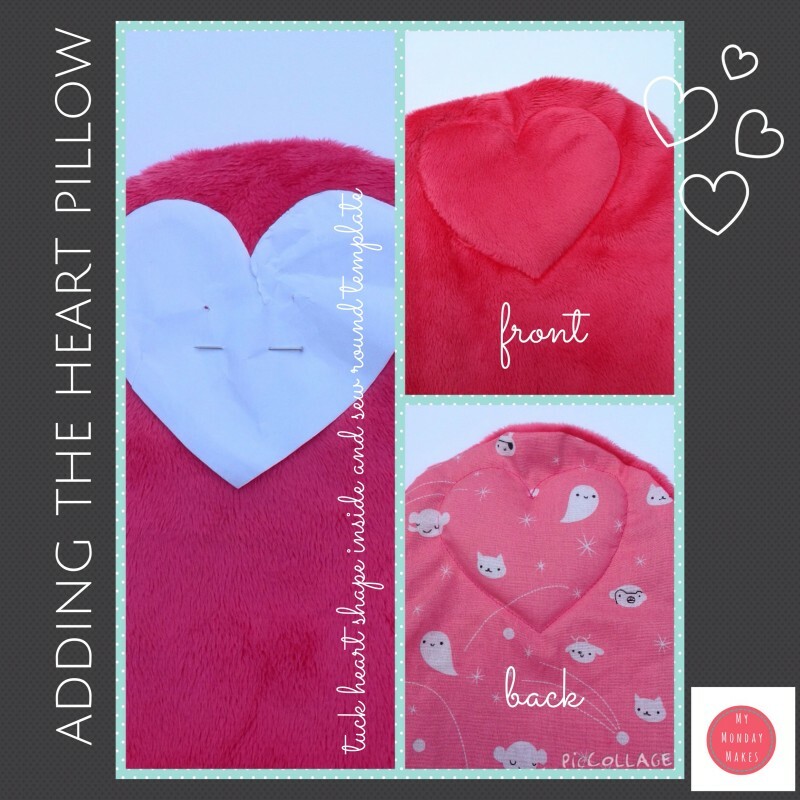 To make the heart pillow: insert the wadding heart shape through the opening and wiggle it up to the top of the bag (you’ll be able to feel when it’s in the right place). 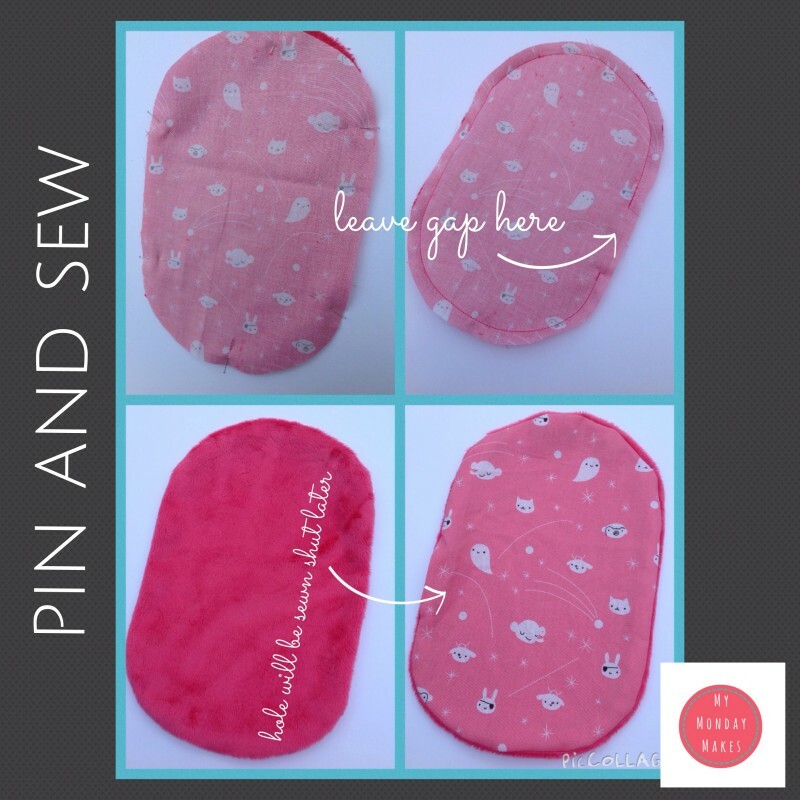 Pin the pattern piece on top and sew round (you can leave a gap between the pattern and where you sew). 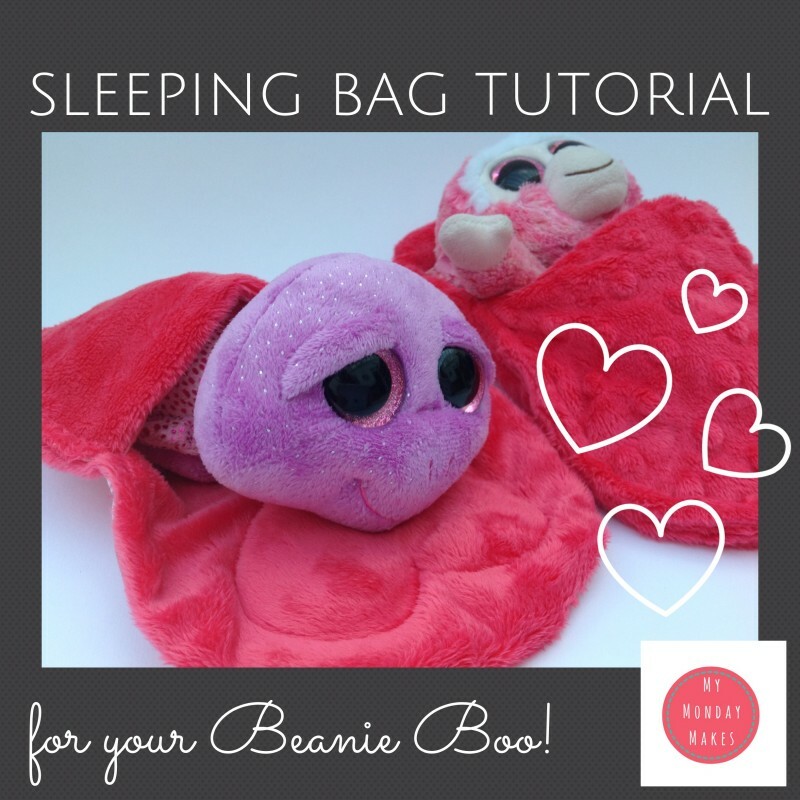 Make the front of the sleeping bag: Place the front pieces right sides together, pin and sew – leaving an opening on one side (this will be sewn shut later). Turn right side out, trim excess seams and flatten. 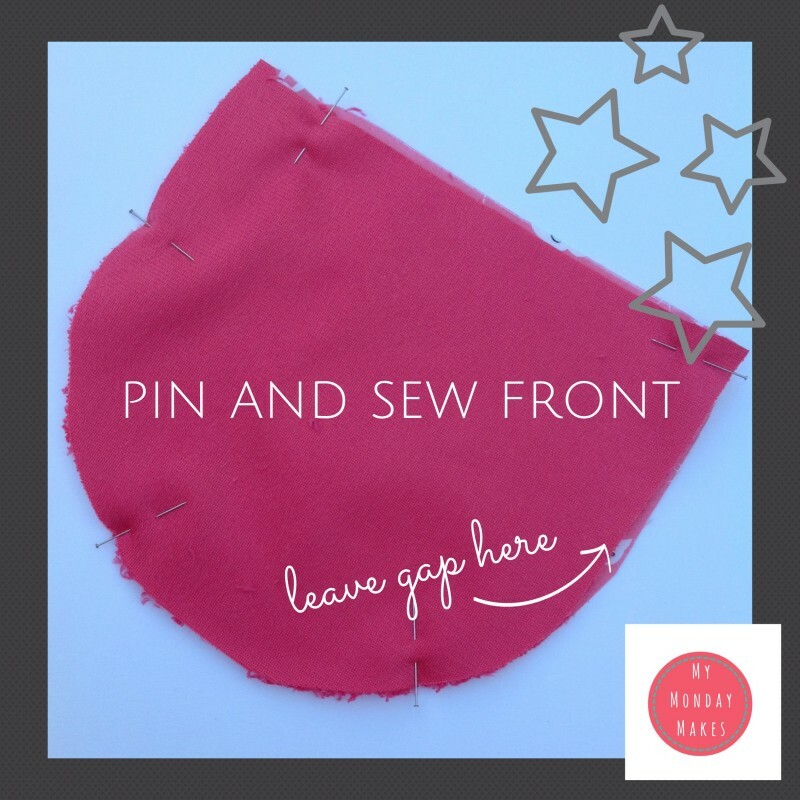 Sew the front to back: Pin and topstitch the front piece to the back piece – making sure that the raw edges are neatly tucked in so they get sewn shut. Ta da! !! 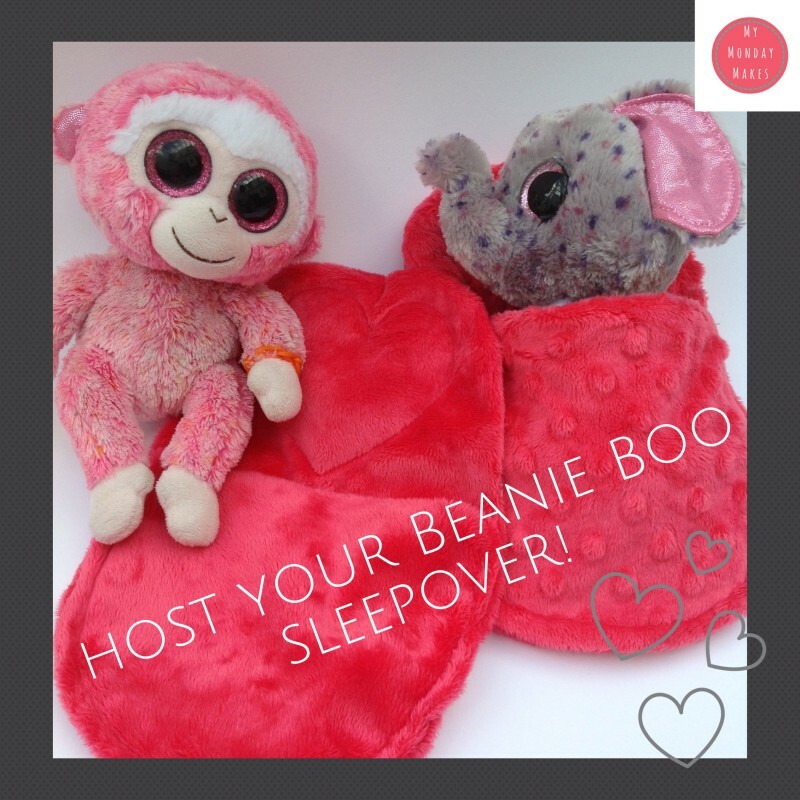 Your sleeping bag is complete and you can now invite all your Beanie Boo friends round for a sleepover party! P.S. 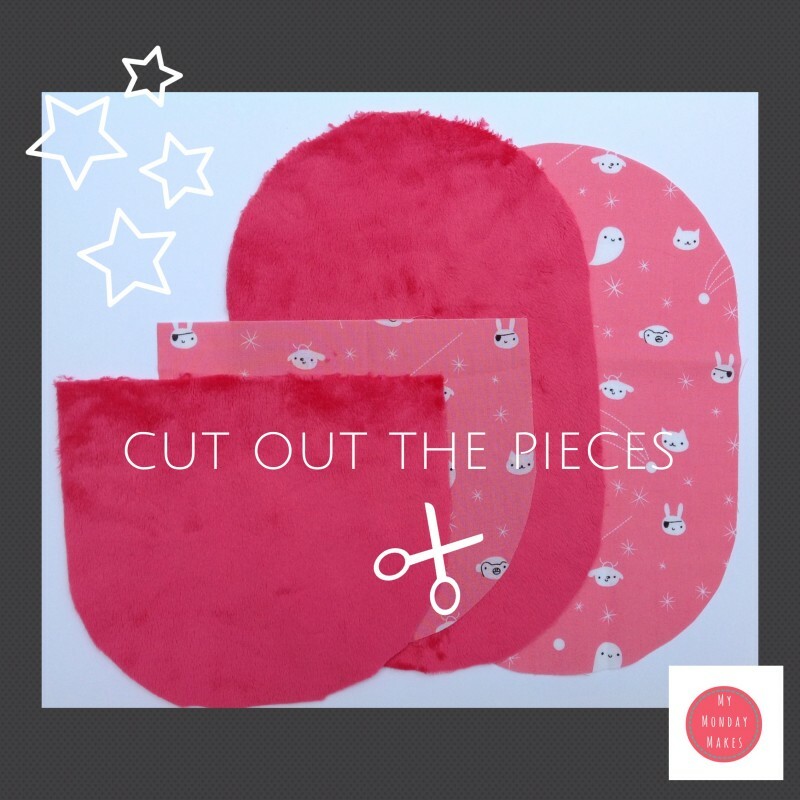 If you use a contrast fabric then it’s also reversible!